In the world of cinema the sequel is generally never quite up to the original. Something is lost second time around. So what about space missions? Do the same rules apply? We are about to find out. The legendary NASA Dawn spacecraft is closing in on Ceres, the largest body in the asteroid belt, having already completed an epic survey of 4 Vesta. Dawn is the spacecraft that almost died (see previous post). NASA’s last minute change of heart, after they had decided to cancel the mission, was one of the most sensible decisions in the agency’s 56 year history. Dawn was finally launched in September 2007 and went on to do a detailed survey of asteroid 4 Vesta between July 2011 and September 2012. During its rendezvous with Vesta it took more than 30,000 images and provided critical compositional information about the asteroid using remote sensing techniques. Vesta is almost certainly the source of the important HED suite of meteorites. Thanks to the observations made by Dawn, coupled with the results from HED samples we now have a much deeper understanding of processes that operated on so-called protoplanets in the early solar system. 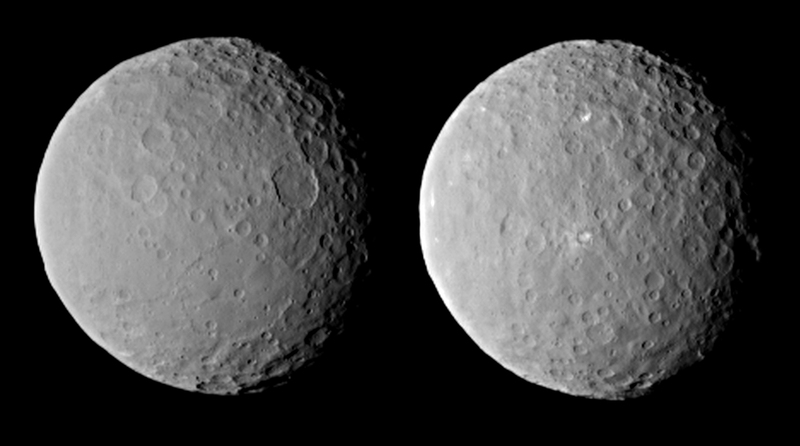 So now it’s round two, can Dawn do it again with its observations of Ceres? 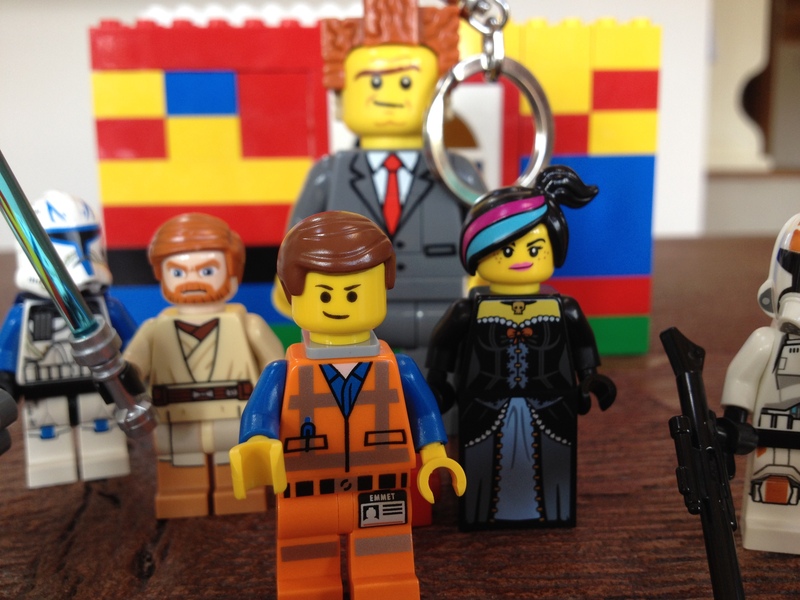 Well, the early results are looking, to borrow a catch phrase from the Lego Movie, “awesome”. 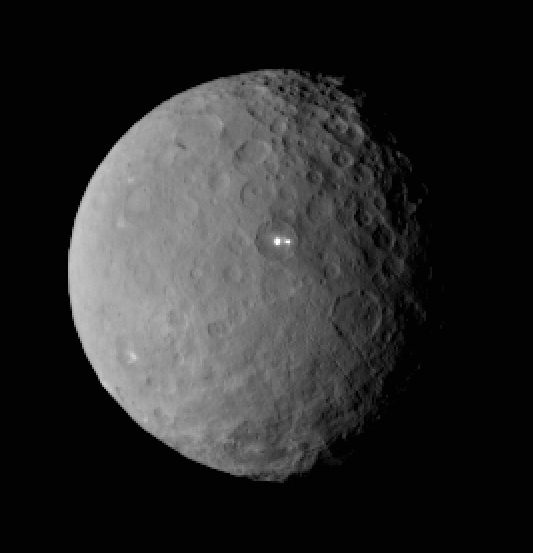 Ceres, classified as a dwarf planet, has up to now been something of a mystery. Ground based and Hubble telescope observations indicated that Ceres had a fairly uniform dark surface, with an internal structure that consisted of a core of dry silicates, an intermediate layer of hydrated silicates and an outer shell of water ice. Dawn is now returning images that are more detailed than anything we had before. Contrary to expectations, Ceres has a highly cratered surface. More intriguing still are the bright spots found at the centre of some craters. The latest images have resolved the brightest of these spots into two distinct features. What are these bright spots? Further analysis is required of course, but speculation is already rife. Emily Lakdawalla of the Planetary Society suggests that they may be due to impact exposure of subsurface bright material, but doesn’t rule out some type of volcanic process. Marc Rayman, Dawn’s Chief Engineer says it’s still too early to speculate, whereas Dawn’s Principal Investigator Chris Russell seems to be leaning, ever so slightly, to a volcanic origin. One further possibility is that they reflect some sort of central uplift peak within the crater. Marc Rayman sums up the situation nicely when he says: “one of the great rewards of exploring the cosmos is uncovering new questions, and this one captures the imagination of everyone who gazes at the pictures sent back from deep space”. Dawn has yet to go into orbit around Ceres, but is already providing some fascinating detail about this amazing mini-planet. And so, as the Voyager missions demonstrated all those years ago, in the world of space exploration there’s nothing second best about a sequel. February 27, 2015 in Missions.